The Japan Foundation, Manila has announced the full lineup of films, guests and special talks for the 2018 Japanese Film Festival, more popularly known as EIGASAI. 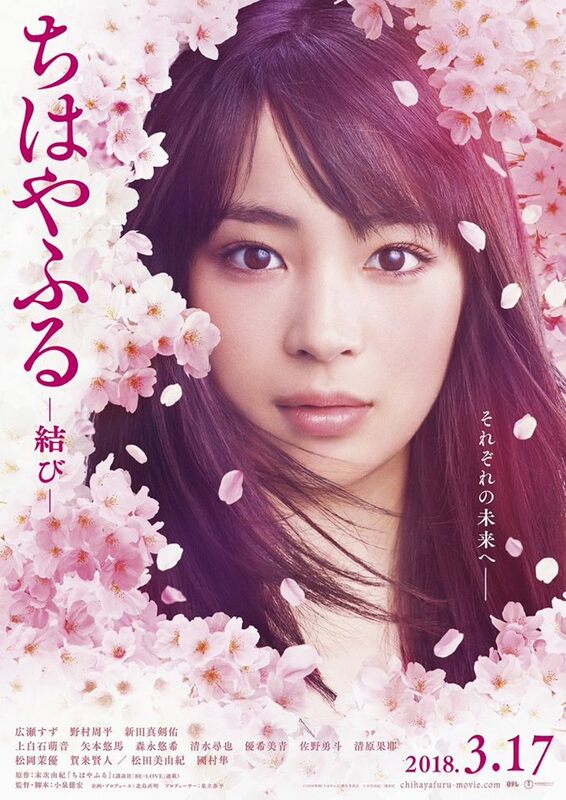 As part of the festival, the third part of the live-action film adaptation of the manga series “Chihayafuru” will be screened in the Philippines for the first time. In honor of the Philippine-Japan Friendship Month, the 21st edition of EIGASAI will run from July 4, 2018 to August 26, 2018 with 15 full-feature films of diverse genres selected for more than 100 screenings across five major cities nationwide. This edition of the film festival is unique because it collaborates with other Japan Foundation arts, cultural and dialogue projects. EIGASAI 2018 will officially kick off with the encore screenings of the “Chihayafuru” film series at Greenbelt 1 Cinema 2 at Greenbelt in Makati City, Metro Manila on July 4, 2018. The “ちはやふる 上の句” (Chihayafuru Part 1) and “ちはやふる 下の句” (Chihayafuru Part 2) screenings are open to the public while the Philippine premiere screening of “ちはやふる 結び” (Chihayafuru Part 3) is invitational. Also on July 4, 2018, the Opening Night Gala will be held at the Greenbelt 5 Gallery graced by the festival’s opening film director Nori Koizumi. He will also give Director’s Talks at the Ateneo de Manila University on July 6, 2018 and at Greenbelt 1 Cinema 2 on July 7, 2018. Written and illustrated by Yuki Suetsugu, “Chihayafuru” is about Chihaya Ayase, a school girl inspired by a new classmate to competitively take up Hyakunin Isshu karuta, an ancient card game that involves classical poetry. The popularity of the manga series has given competitive karuta a high profile in Japan. “Chihayafuru” Part 1 and “Chihayafuru” Part 2 will also be screened at the Ateneo de Manila University in Quezon City, Metro Manila on July 5, 2018. There will also be a demonstration of Hyakunin Isshu karuta one hour prior to the “Chihayafuru” Part 1 and “Chihayafuru” Part 2 screenings at Greenbelt 1 Cinema 2 and at the Ateneo de Manila University. Follow the EIGASAI for updates.